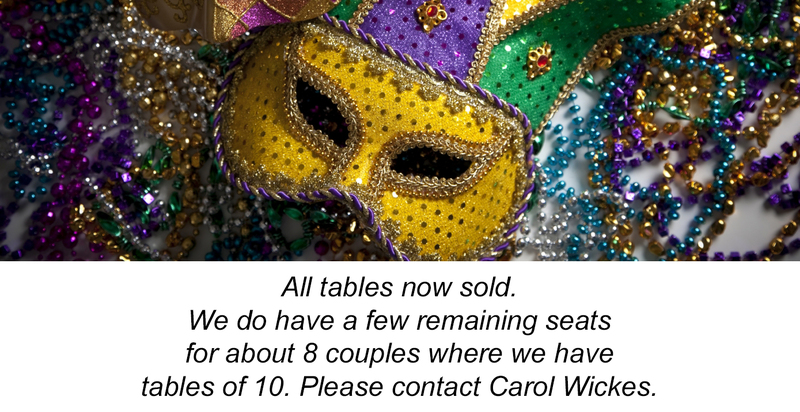 Fundraising Mardi Gras Masquerade May Ball Tables are on sale from today! We have had an overwhelming interest again this year and to minimise the admin, paypal costs and confusion of individual payments we would like table leaders to collect payments and bank transfer the whole amount to the club account. Minimum tables of 10 (max 12). Your table request will be confirmed once the payment is made in full and the completed booking form is received. Please see booking form for details. Tables are being allocated on a first come first served provided both booking form and full payment has been received. If there are individuals/couples interested in coming and not on a table, please email Carol Wickes and we will accommodate you where we have tables of 10 available.